We’re located in the western United States, bordered by Wyoming to the north, Nebraska and Kansas to the east, Utah to the West, and New Mexico and Oklahoma to the south. The southwest corner of Colorado, known as the “Four Corners” area, touches Utah, Arizona, and New Mexico. Our area is rich in natural beauty and resources and rich in outdoor activities, culture and open-hearted people. Coloradans enjoy the outdoors, the numerous mountains, lakes and streams, music and theatre and all types of sports. Snow sports predominate in the winter months, but other activities include hiking, biking, rafting, fishing, golf, baseball, basketball, football and snowmobiling. The Mountain & Plains Rotary RYE region includes the metropolitan areas of Grand Junction and Colorado Springs as well as the ski resort towns of Aspen, Crested Butte, Durango, Telluride and Vail,. Our climate is defined as “mid-continental temperate” which means that exchange students coming here will experience four distinct seasons, with warm dry, summers, cold snowy winters, and blue skies and sunshine year-round. Some students coming to Mountains & Plains RYE will live in the cities of Colorado Springs, Durango or Grand Junction; some will live in ski resort towns, and some will live in smaller, rural communities such as Pagosa Springs, Rifle and Salida. Inbound students may well be assigned to towns of fewer than 10,000 inhabitants. 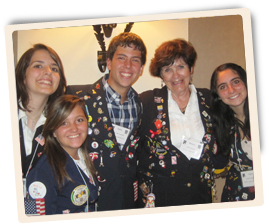 Outbound students who go abroad will come from these very same communities. Famous people from Colorado include boxer Jack Dempsey, actors Douglas Fairbanks, Tim Allen, Kristen Davis, Lon Chaney, Amy Adams, Jessica Biel and Don Cheadle; astronaut Scott Carpenter; and politicians Karl Rove and Condollezza Rice. Colorado is the birthplace of AC (Alternating Current) electricity, Christmas tree lights and the traffic light. The song, “America the Beautiful” was written in Colorado Springs. High school classes begin in mid-August and end the last week of May or the first week of June. 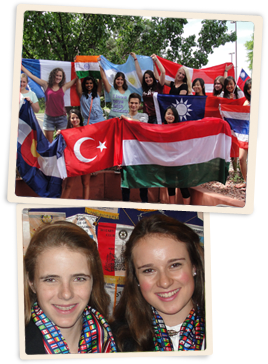 Exchange students are typically placed in the 11th (junior) or 12th (senior) grades.